Hahn & Clay has been fabricating Marine Bottles since 2008. We follow the ASME Section VIII Div. 1 and the U.S Coast Guard, Department of Transportation 46 CFR rules and regulations for Type II and III bottles. 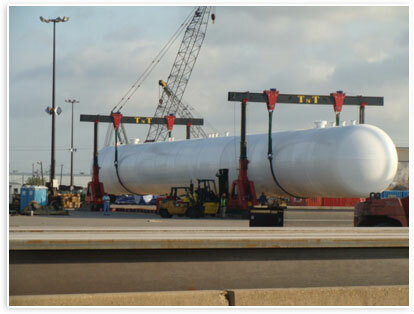 We work closely with the USCG and our Authorized Inspector in meeting both standards from raw material procurement to final product acceptance by all three parties. We also perform marine bottle repair in the field working hand and hand with the USCG. And we inspect and/or repair discharge pumps from 6"-16". If necessary we can handle emergency repairs.